Last week I drove alllll the way down to Southern California to move to my new school...that wasn't fun. I've never actually driven all that way, but let's just say it was mainly around three hours of scattered civilization and around five hours of nothing but dirt...Nevertheless I was thrilled to finally make it to our hotel in Valencia! The next day was move in day, when I finally got to meet my roommates! I'm living with five other girls again, just like I did during the DCP. My apartment is bigger than the one I had in Patterson, even though we have one less bathroom in comparison. My mom and I got all of my belongings into my room all settled before I had to take my mom to the airport so she could return back home. Last Thursday I had a meeting with a business advisor to get all of my transferring classes figured out (it's a hassle, to say the least). However that's not really important at the moment, because the next day I had my interview with Disneyland for my potential part-time Attractions position! That weekend I worked on my online new hire paperwork, which was just..so much fun. Then a few days later I had to go get drug tested, which was kind of surprising to me because I didn't know too many other people that needed to get drug tested for a position unless they were operating machinery like the Kilimanjaro Safari Trucks in Animal Kingdom. Today I had my onboarding appointment, which is basically where I finish up more paperwork and take my photo for my cast member ID. I also discovered that I'm going to be working in Disney California Adventure! I'm not sure which attraction specifically just yet, but I did request Hollywood Land to my recruiter during my interview so I could eventually get trained at Tower of Terror (my dream). She told me they had spots open so I'm pretty sure I'm set there! I won't know for sure until the weekend of September 21st though, after I have Traditions. I'll let you guys know when I find out where I'm working! Sara and I made an attempt to re-create our favorite Disney snack: Dole Whip! We got pretty close. We definitely had a much better result than the first time we tried! Unfortunately, this is going to be the last Sara Squared video for a while...Sara is going to be moving to Utah for college and I'm moving to Southern California next week for school. This is the first time we've ever lived more than five minutes away from each other since we both transferred to our Middle School in sixth grade. Next time we get together after the big move, we'll try our best to make more videos if you guys would still watch them! Also, here's the link to the original Dole Whip instructional video. You can see the rest of our videos here! Make sure you stay updated by following The Disney Den on Tumblr, Twitter, and Facebook! I felt like my followers deserved to have an update on what's going on in my life at the moment, and what I have planned for some posts and some videos. I currently am gearing up to make a big move to my new school! I found out where I was living and who I was living with last week, and I'm really starting to get excited for the new school year (minus the homework part, of course). I GOT AN INTERVIEW FOR A JOB AT DISNEYLAND!!!!!! That's right! I've been checking Disneyland's job postings since the day I came home from Florida, and as soon as I'm actually able to apply (the interviews are in person in Anaheim), part time attractions becomes available! I was SO shocked! I was actually Skyping Jake when I looked. I wasn't even checking with the thought of there being anything new, since I had already seen the list that morning. As soon as I was about to close the window, I noticed attractions and I nearly screamed! I've been wanting to apply for that role for the longest time! I'm so excited! Besides moving to a new school and the job interview, I do have a few videos planned as well as some more DCP information posts and cast member interviews. Sara and I are going to try and create our own Dole Whip today, which we've tried before and failed miserably (it tasted like a pineapple cottage cheese). We're going to try and record the process, but it might take a little while for the video to actually be online since life is about to get pretty crazy busy getting ready to move saying goodbye to my friends. I hope you guys all have a magical day!! 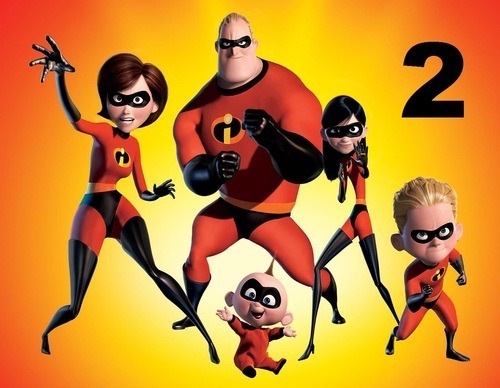 EDIT: On March 18th, D23 officially announced that there WILL be an Incredibles sequel!! Yesterday, there was a massive rumor being spread around Tumblr about the possible production for a sequel to my favorite Pixar movie, The Incredibles. I've been recently doing extensive research about the possible sequel for a future video, so I was very skeptical and curious when I saw this post being circulated over thousands of blogs. (At this moment, this post has over 63,000 notes...most of them with comments over their excitement for The Incredibles sequel.) I immediately double checked my search to confirm this rumor, and there was absolutely nothing new to report from what I had read last week. First of all, the "official movie poster" (below) looked like someone just slapped a number two on a random photo of the Parr family, which seriously anyone can do in a simple photo editor program. The real facts are that director Brad Bird has been "considering ideas" for a sequel, but wants to make sure the storyline is perfect because he cherishes the original message and the characters so much. He also has been focusing on his latest project, Tomorrowland. The D23 Expo occurred this past weekend, where many other Disney movies and future projects were officially announced. The Incredibles 2 was not a part of the list. Among these announced movies is Big Hero 6, which is Marvel's first animated feature since it became a Disney franchise. This does not have anything to do with The Incredibles. This is a completely different story in a different world with completely different characters. This is not a backstory or prequel to The Incredibles. The two movies are not related in any way besides they're both a part of the Disney franchise. If you see posts like these on Tumblr or anywhere online, stating that there's going to be a new movie or ANY kind of exciting announcement, please do your research and find the facts before believing a statement created by just anyone on the internet. Most of the "sources" for these statements were fan made wikis, which are not viable sources of information. Anyone can post something exciting and make it sound convincing, but that doesn't mean that they are true. Meriem (left) and her best friend at work! Meriem was my first really close friend that I made on the program. As she explains in her interview, we met on the Facebook group page nearly five months before the program even started! 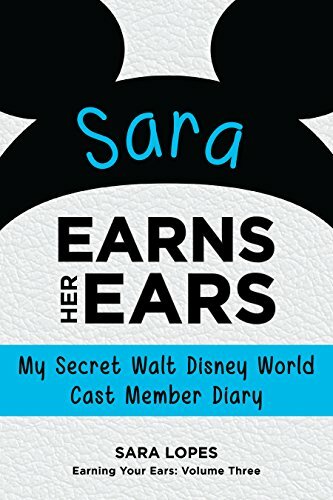 She had the opportunity to participate in one of the most competitive roles in the Disney College Program in one of Disney's most popular resorts! 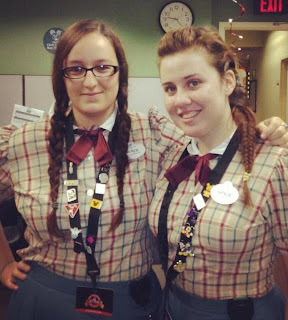 My role was hospitality (front desk) and I worked at Disney's Port Orleans Resort, at both French Quarter and Riverside. A typical day at work for a hospitality cast member (if you're front desk, there's runner as well) was getting to work, and signing out your bank. You get one at the beginning of your shift and count it out to make sure the exact correct amount is there for the last person. Then you go out to the front desk to your supervisor to get a station. If they aren't standing there, you can usually just pick one for yourself. You get the key for the drawer to lock your bank in, and then log into the system (called Lilo). Then you have usually an eight-plus hour shift checking guests in, checking guests out, getting extra towels and linens and other things sent to their room, and unfortunately sometimes dealing with really big problems. When your shift is over, you'll unlock your bank drawer, return the key, count out your bank in the back and head home. Oh and hospitality cast members get a one hour lunch break. This role was my first choice, since my major is hospitality business. I was very lucky to get it because they don't give a lot of CPs this role! My favorite part of the job is a tie between getting to learn firsthand how a hotel works, and getting to see families and couples and everyone that comes to Disney at the very start of their trip. Checking into the hotel is usually the first thing they do, so everyone (hopefully) is really excited to be there, especially the kids. This is the first impression of Disney World on the guest, so we make it magical! We have mickey stickers at our stations that we can give out to them, and obviously each kid is different, but most freak out and love it! I had the most magical of magical moments. I started to check a guest in, a FL resident only staying for two nights. I thought eh, she's probably a passholder, this might be normal for her, nothing too special. We started the check in process and I commented on her wonderful Vera Bradley bag, which then led to a ten-minute conversation about the Vera Bradley store at the outlet mall near Chatham Square (my apartment), and all the other stores. Which led to more conversation. Which ended up being a 30-45 minute conversation with this guest while checking her in. This was not a regular conversation. She was amazing! So sweet and so kind, and I didn't want her to leave and stop talking to me. Anyways, eventually she had to go and I thought she was so great that I went to one of my managers and asked if we could send her a treat tote (at Port Orleans and maybe some of the other hotels, we have treat totes with little snacks and different things that we can send to guests. The tote says Port Orleans.) We usually send them to honeymooners and things of the sort, but you can send it to anyone who you want to give an extra little magical moment. So I got this treat tote sent to their room, which was at about 3PM or so. (From left) Lizzie, Meriem, Sydney, me and Sara! At 8PM I go on my break, and my friend Charmaine comes to get me twenty minutes later saying there's a guest that is asking to see me. Unfortunately in our role, when a guest wants to see you, 95% of the time they are mad, so seeing that I was eating and on my break, I got pretty annoyed. She kept smiling and saying no he's not mad, just come out. So I get out to the desk and I see the guest I was talking to earlier with her son. She comes up to me and says, "My son has something to give you." I just looked at him and crouched down and said, "Hello!" He was holding something behind his back. "Close your eyes!" He said. (By the way, he was about 5 years old.) So I closed my eyes an when he said I could open them, he was standing right in front of me holding out a flower he had picked. When they came back from the parks and saw the treat tote there, which they didn't know I sent cause there is never a name on it, they just assumed I had. He was SO happy and said he wanted to do something for me. I almost started crying! His mom came and gave me a hug and thanked me, and I told her after I checked her in I got my manager to send it because she was so amazing. She asked to speak to my manager, so I got him, and then two days later I got a GSF card because when she went home, she e-mailed the hotel and mentioned me by name. It was literally the best moment of working at Disney. I wish I had known how hard it would be leave. Not just the place, but also the people. The life-long friends you will make. You can go back to Disney, and you can do another program, but it will never be with the same people at the same time. A friend of mine that did her program in Spring '12 just had a reunion for four days with three of her best friends from her program. That sounds tempting. Honestly, hospitality is such a hard role to get. I think the best bet is to really talk it up in your interview. Make the interviewer see that you have passion for it, and give them a good reason to offer you the position. If it’s your major talk about that, talk about why its your major. Talk about making a first impression on guests. It will be the best and most emotional (in a good way) experience of your life. However, Tinkerbell doesn't sprinkle fairy dust on you and just make that happen. You gotta get out there, talk to people! I met Sara on the DCP Facebook page five months before we even got there, or knew if we had gotten in. I also found my roommates that way, and it worked out great! Hopefully you will work with some amazing people like I did, and honestly, at the CP events and everything, just be friendly! Everyone is in the same boat. So make it magical, and cherish your time there, because it goes by WAY too fast.